Employees face growing challenges in paying for expensive specialty drugs, according to a new report that examines initiatives by employers and policymakers to control rising pharmaceutical costs. The National Business Group on Health (NBGH), a Washington, D.C.-based association of 420 large U.S. employers, recently released Policy Recommendations to Promote Sustainable, Affordable Pricing for Specialty Pharmaceuticals. The report notes that spending for specialty medicines, including biological drugs manufactured using living organisms, is projected to overtake spending for traditional pharmaceuticals over the next several years. "With spending on specialty drugs skyrocketing, large employers, and employees who use these medications, are struggling to manage rising costs," said Brian Marcotte, NBGH president and CEO. "Most employers we surveyed now rank specialty pharmacy as the No. 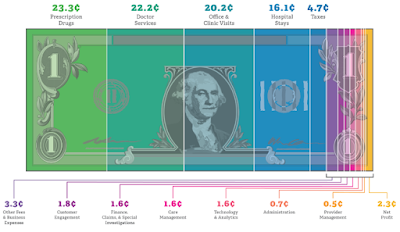 1 driver of rising costs" for health care. In 2013, the average annual price of therapy for specialty prescription drugs was 18 times higher than the average annual price of therapy for brand-name prescription drugs ($53,384 versus $2,960, respectively) and 189 times higher than the average annual price of therapy for generic prescription drugs ($53,384 versus $283, respectively). Retail prices for 64 chronic-use specialty drugs increased cumulatively by an average of 161 percent from January 2006 through December 2013. General inflation in the U.S. rose 18.4 percent during the same 8-year period. 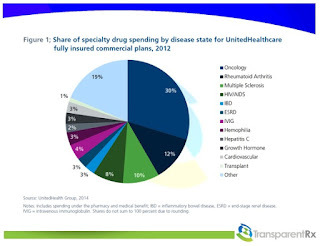 Since the study, the rising costs for specialty drugs haven't slowed, benefit specialists say. "Specialty pharmacy is different from other medications in many ways, including having a tendency to be much more expensive—some meds cost in the tens of thousands of dollars per treatment," said Steve Wojcik, NBGH's vice president of public policy. "As a result, we are seeing growing numbers of employers, along with their health plans and pharmacy benefit managers, implementing many [cost-control] techniques." 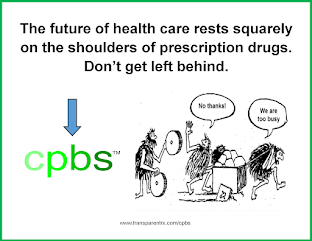 Putting in place more aggressive use-management protocols for specialty drugs (74 percent of large employers). Requiring that specialty medications be obtained through a freestanding specialty pharmacy (69 percent). Using a specialty drug tier in the plan design, to require greater cost-sharing by employees (38 percent). Using high-touch case management, such as with a nurse practitioner (35 percent). Requiring prior authorization for specialty medications billed under the medical benefit (35 percent). Requiring site-of-care management to ensure that specialty drugs—which may need to be injected or infused—are administered in appropriate settings (30 percent).